Thanks in large part to Silicon Valley’s concentration of technical genius, high-tech fields offer some of the most lucrative and expansive career opportunities for the current workforce and for up-and-coming generations. What I want to talk about is the fact that these industries offer so many opportunities because they are growing, and they are growing because of innovation and leadership—not from technical excellence alone. Kids are not at a loss for technical training opportunities: California helped lead the development of the Next Generation Science Standards (NGSS) with the intention to stimulate more interest in the pursuit of higher ed degrees in science and technology. According to the Association for Talent Development, employers aren’t generally concerned about the technical competence of their candidate pool. In this Adecco survey, 44 percent of executives interviewed “believe that American workers lack the soft skills necessary to help a business succeed.” In other words, while employers will be looking for skills such as programming, software languages, and data analysis, the skills that are more likely to stand out and bring résumés to the top of the pile are those like innovation, communication, global citizenship, and leadership. Here, I can’t help but recognize the direct relationship between Tough’s list of skills and the experiential development children encounter in our Outpost challenge: sustaining their own needs for food and warmth, sleeping under the stars, and trekking through the Santa Cruz Mountains without the buffer of a results-oriented program. The kids create their own experiences. Even the basic camp experience of living in cabins among their peers gives kids in-the-moment opportunities to mediate conflicts and solve problems that bear on the success of a community—not just an individual. Our kids are smart, but their aptitude hinges on a diverse range of sources beyond IQ: emotional intelligence, compassion, self-awareness, and interpersonal awareness and communication. Andrew, our camp director, explains, “Kids that go to resident camp—in general, they’re a little bit more resilient. They’re a little more able to understand that not everything’s going to go perfectly at every moment, but if I stick it out, I will see the benefits.” He remembers one girl who went through the Camper in Leadership Training program who had an easier time than some of her friends applying for colleges, because she was less concerned about the particular dorm conditions or whether she would know people there or not. She knew that wherever she was, she’d be able to adapt, make friends, and be successful—because at camp, she had solved real interpersonal problems, learned skills of survival, and made the most of rough conditions. Where her friends were narrowing their college options down based on irrelevant criteria, she had a wider range of options simply because she had confidence that she could handle those basic challenges, no problem. In other words, her softer skills and strengths empowered her with adaptability and perspective around the considerations that would bear greater weight on her future, such as which schools offered internship opportunities most closely in line with her goals. According to MBA and career success expert Lei Han, this adaptability and perspective translate similarly in the workplace: “soft skills are skills where the rules change depending on the company culture and people you work with.” Without soft skills, adults lack resiliency and the ability to adapt to different settings and evolve with the interpersonal challenges inherent to a workplace. Our camper will likely have a better time navigating job opportunities and challenges thanks to the practical problem-solving experience she found at camp and her awareness of that advantage. 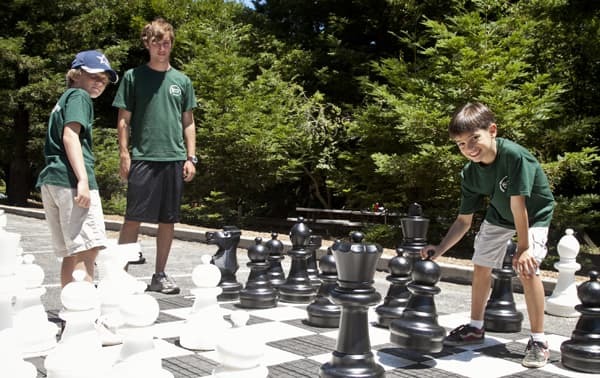 Although kids are busy with STEM and other hard-skill development during the school year, during the summer, overnight camp presents an inclusive community dedicated to empowering kids in ways more practical and personal than those that are IQ-driven. We help kids bridge the soft-skills gap so their future employers don’t have to—but really, we offer this quality of learning because it helps kids get in touch with themselves, with their strengths, and with an authentic commitment to the many communities of which they are a part. At Kennolyn, it is our mission to cultivate the kind of community that empowers kids to get in touch with their strengths and to practice them. Our programs do incorporate STEM-based activities, but what stands out is the personal and emotional growth that kids experience across a wide range of everyday challenges: independent living, conflicts with peers, fear of what is unfamiliar, and problem-solving in real time. We’re here to answer your questions and help you understand how summer camp can fit into your child’s present and future.